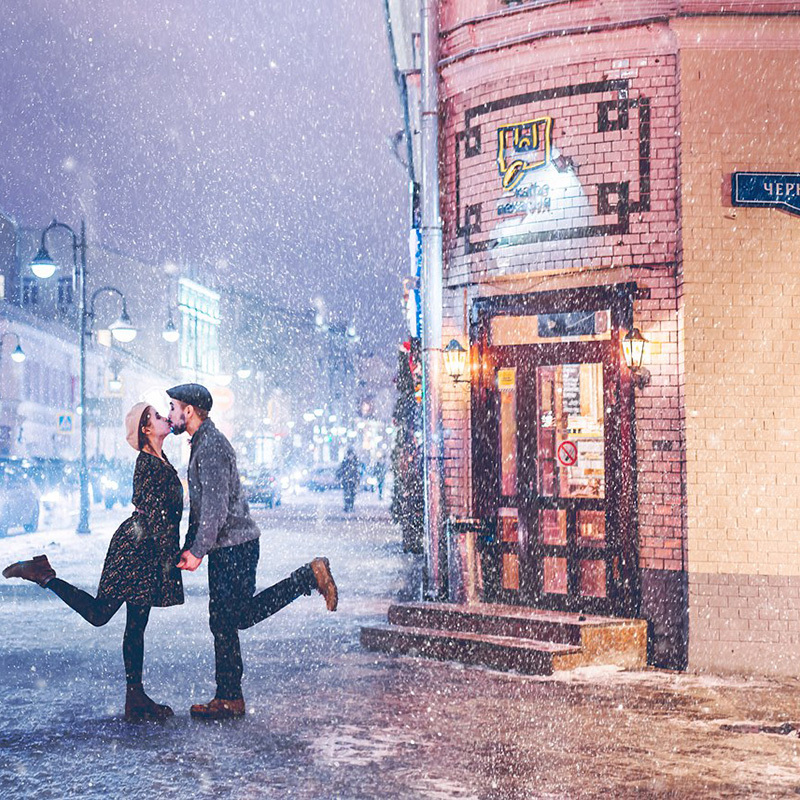 While foreigners usually take delight in the Russian winter, Russians themselves tend not to rejoice at the long cold season. 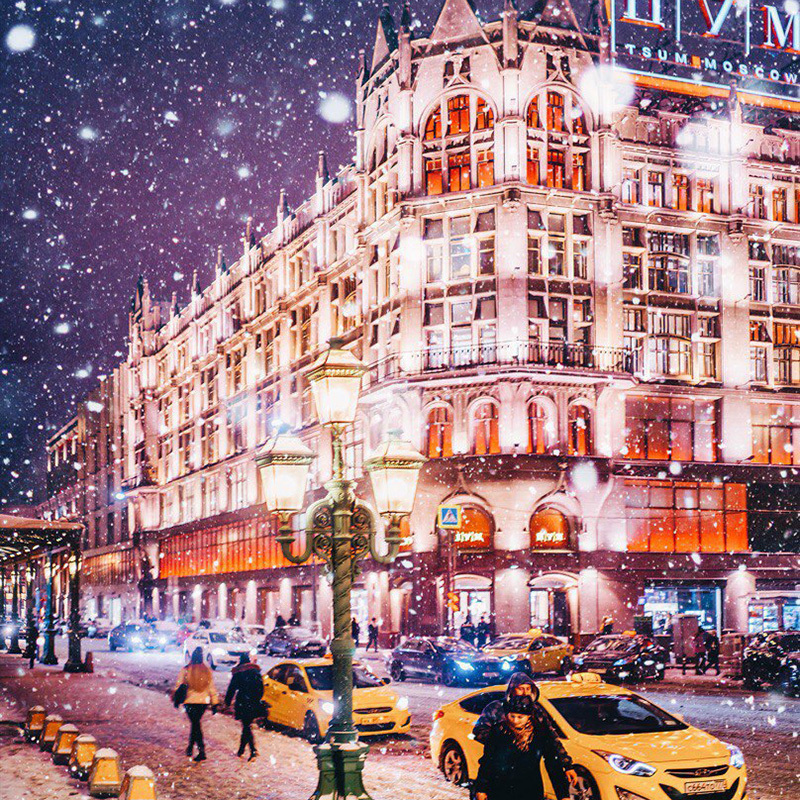 Winter holidays are the perfect time to discover the Russian capital. 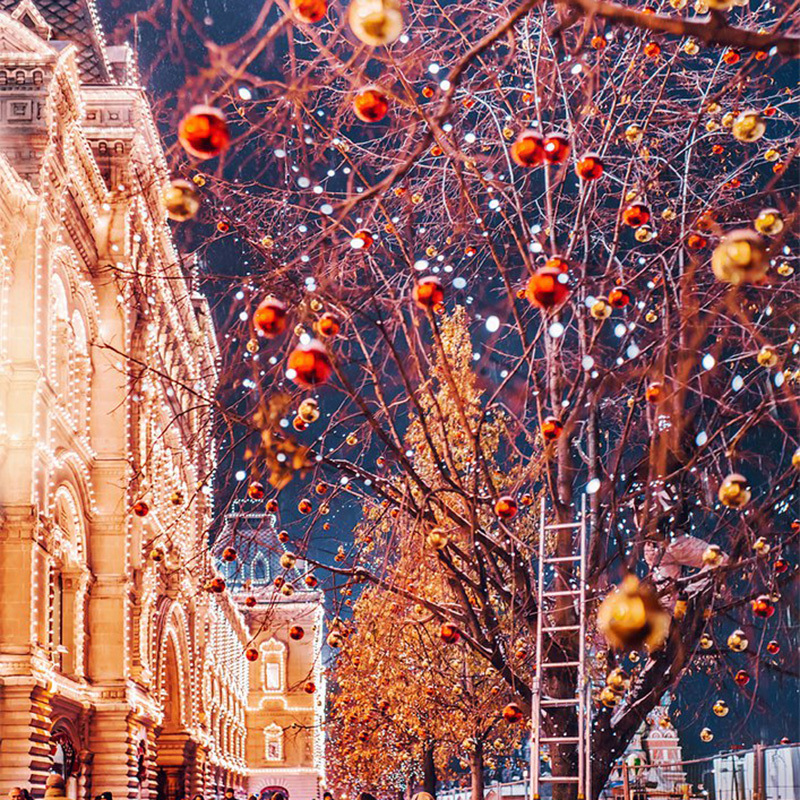 Despite the cold grey skies, Moscow captivates the soul with its dreamy fairy-tale look. 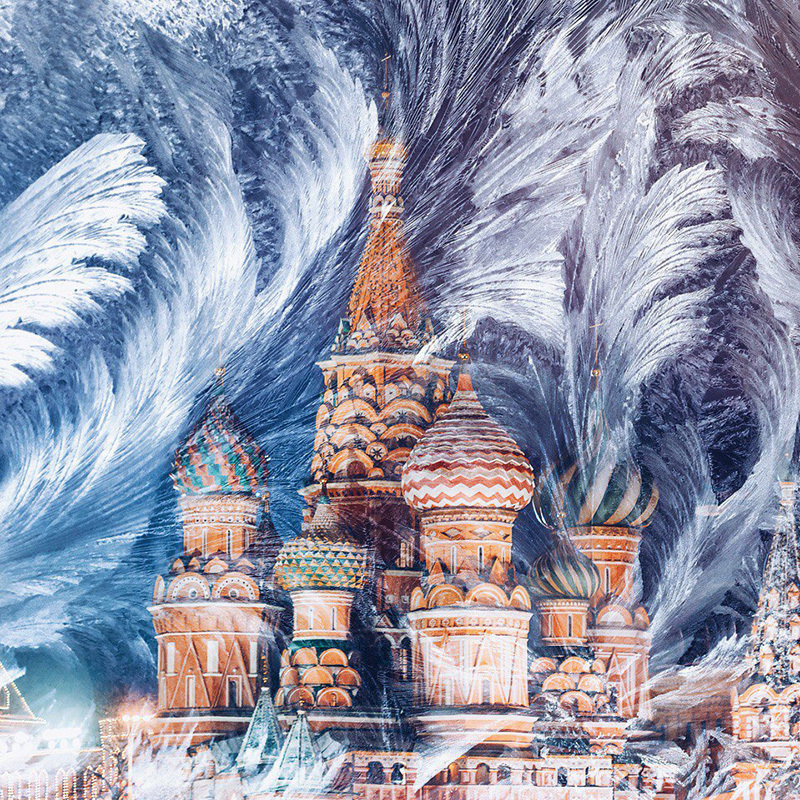 Postcards with dazzling icy views usually paint a false picture: for the typical Muscovite winter means slush and mud, dirty boots, grey skies, and exhausted people all around. 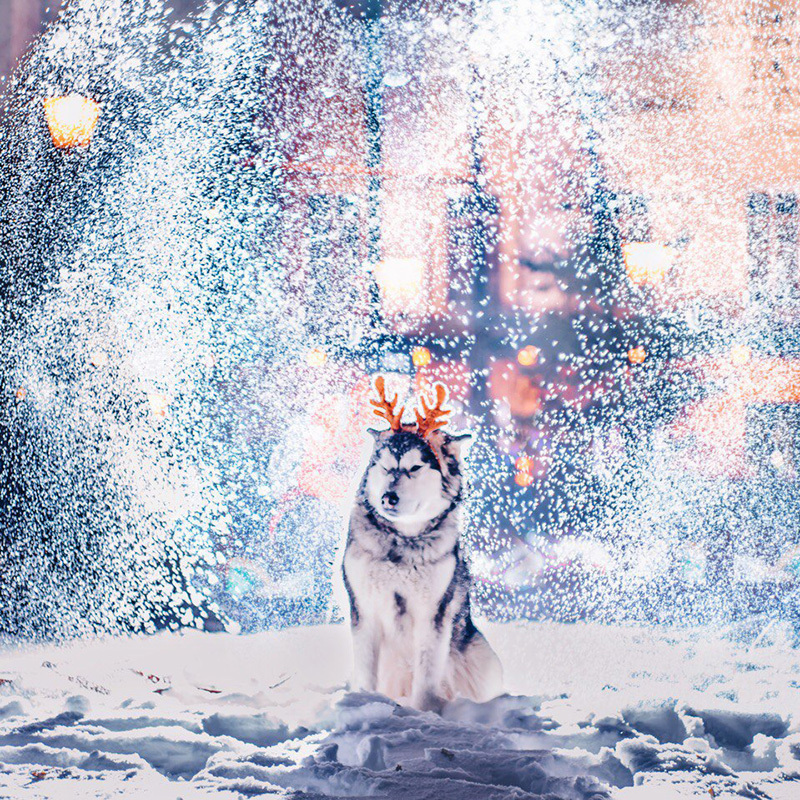 The Russian vacation lasts the first ten days of January. Unlike in the West, New Year is just the beginning of the fun. It's hard to be happy amid this monochrome life which lasts from October to April. But there's a special time when everything changes. 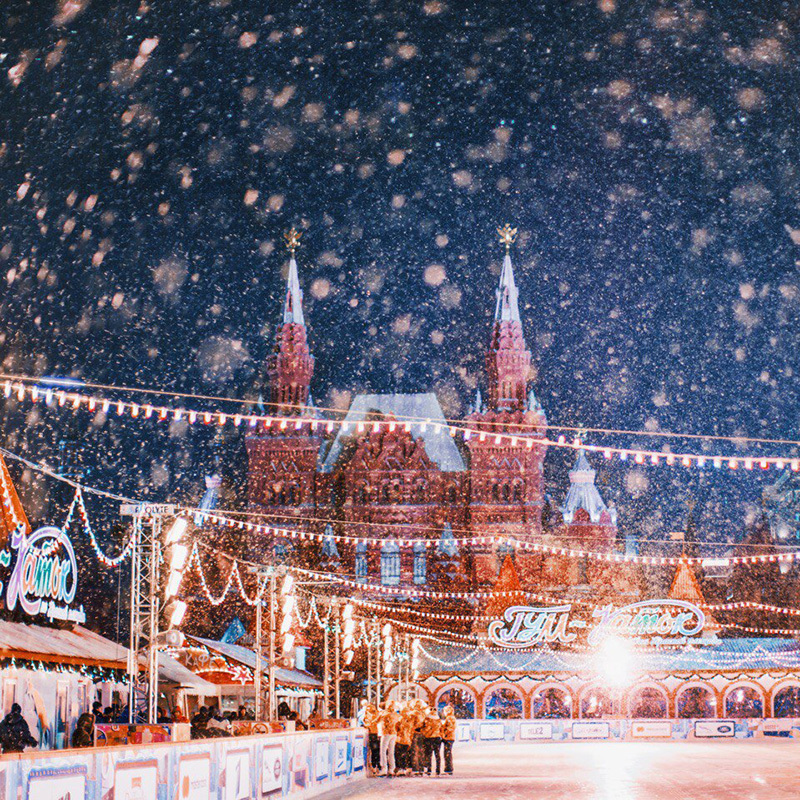 Christmas time is the moment when Moscow presents its prettiest face. 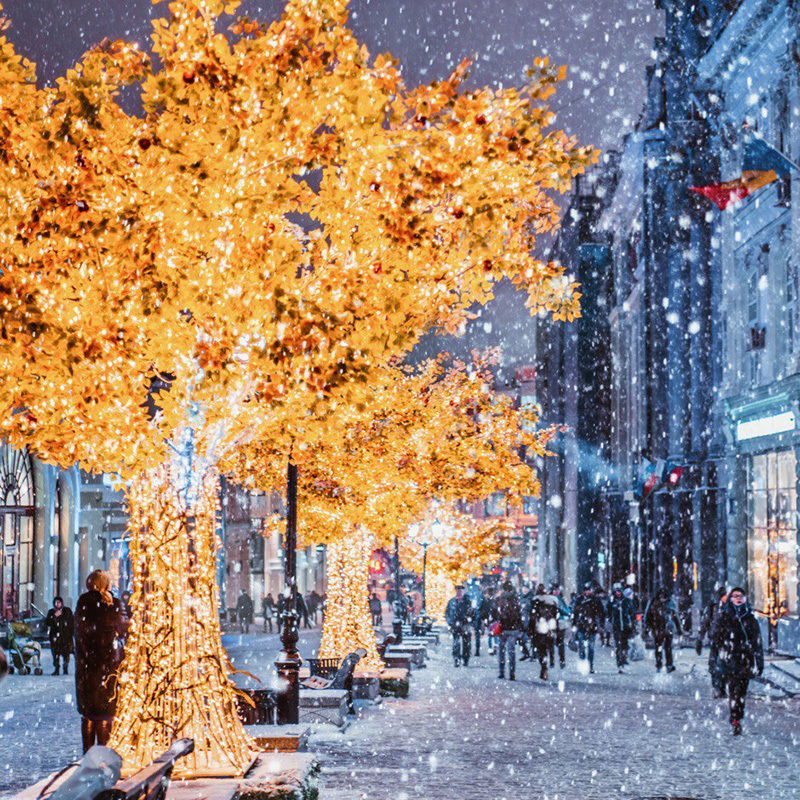 During this time Russians spend plenty of time outdoors, and Moscow is up to the job of creating the right festive mood. 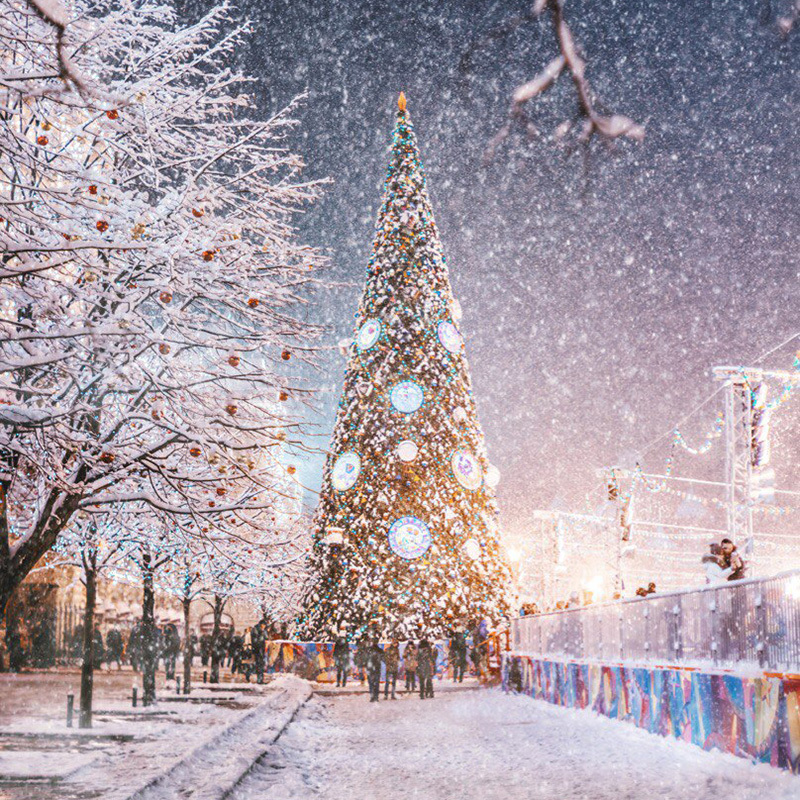 While Russia has its own Orthodox Christmas traditions, the Western winter holiday style has already taken root in Russia. 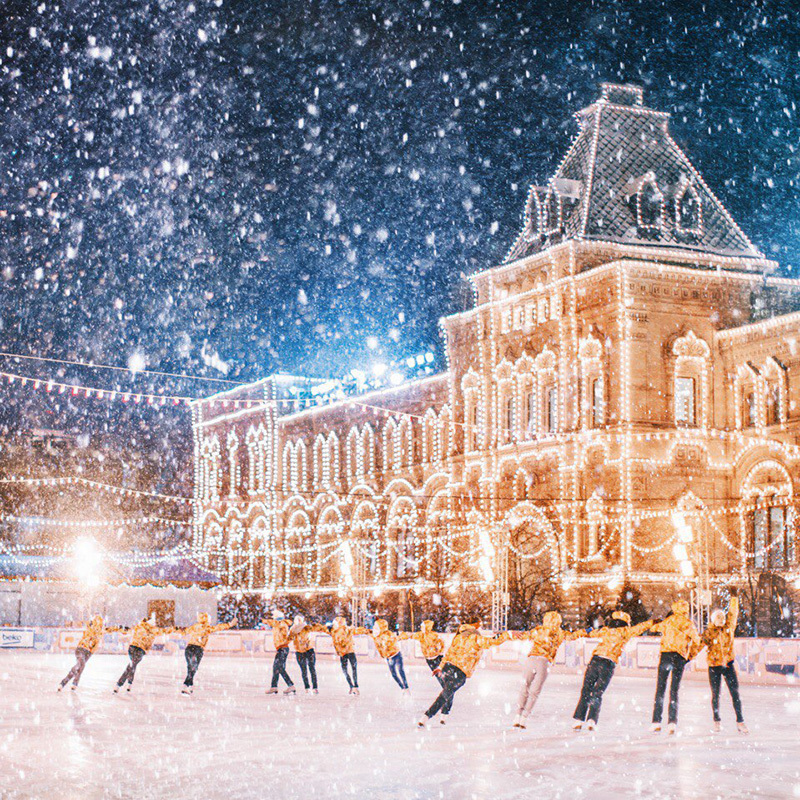 Christmas markets, bright decorations, ice rinks, and warm coffee shops: the Russian capital is especially heart-warming around this time. 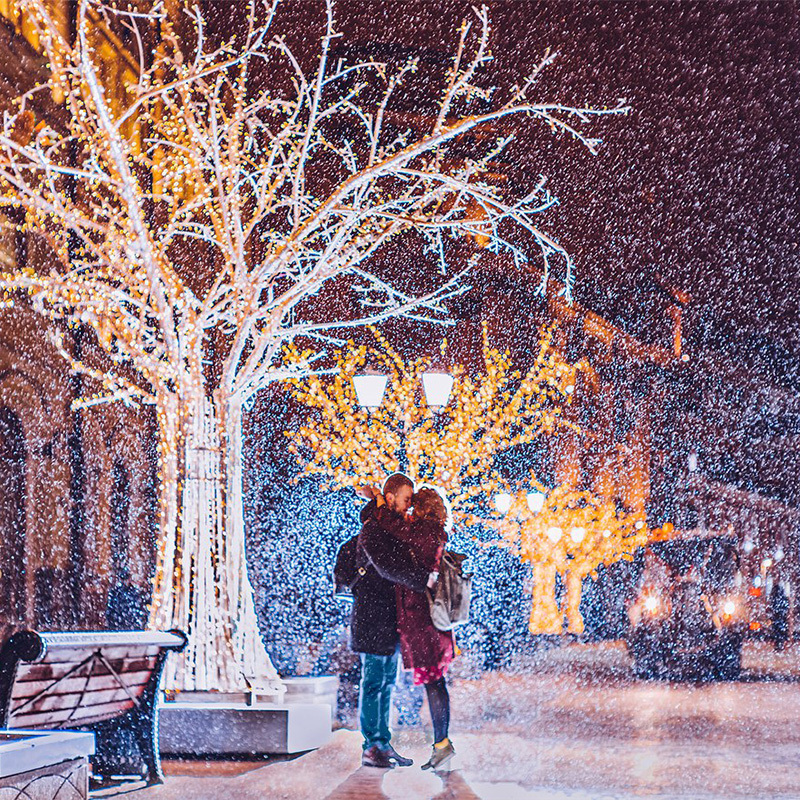 It is more than capable of prolonging your personal Christmas fairy tale well into January!